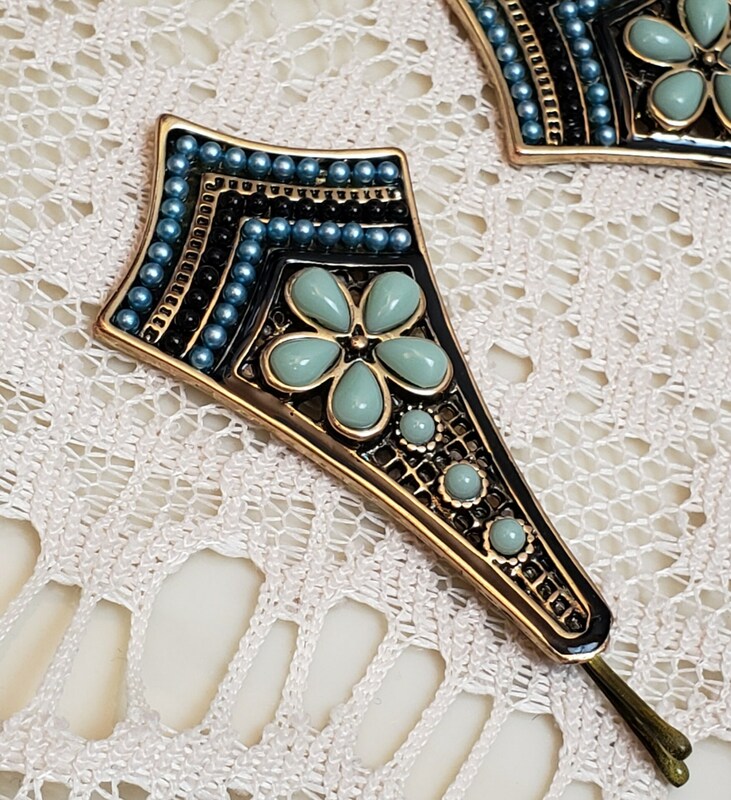 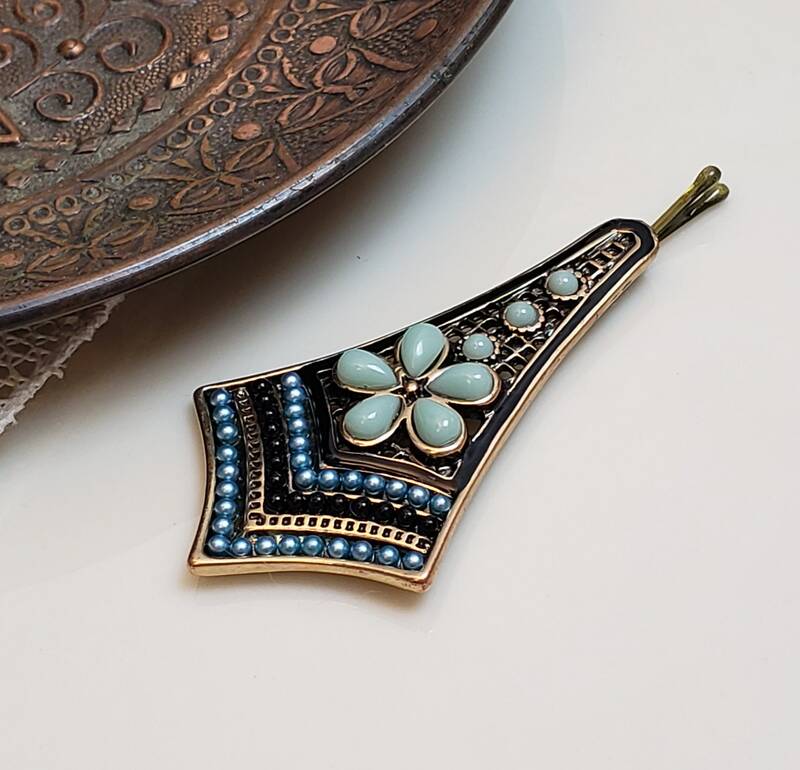 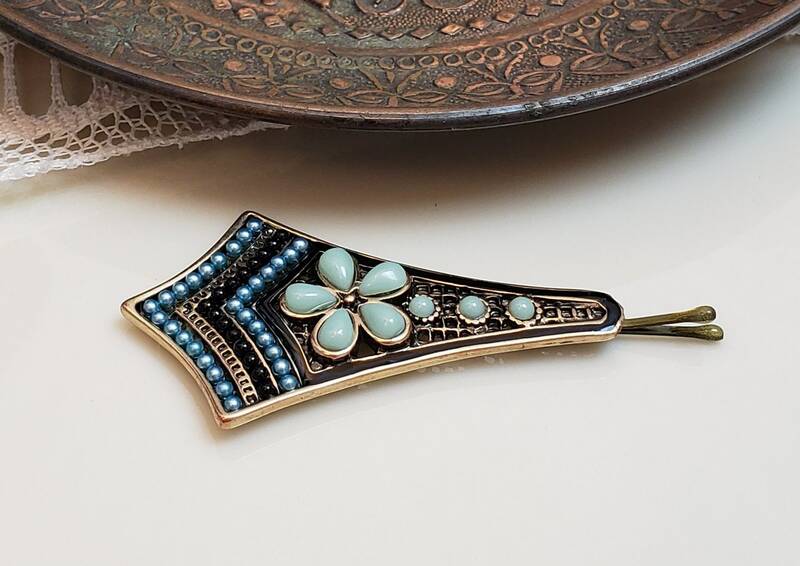 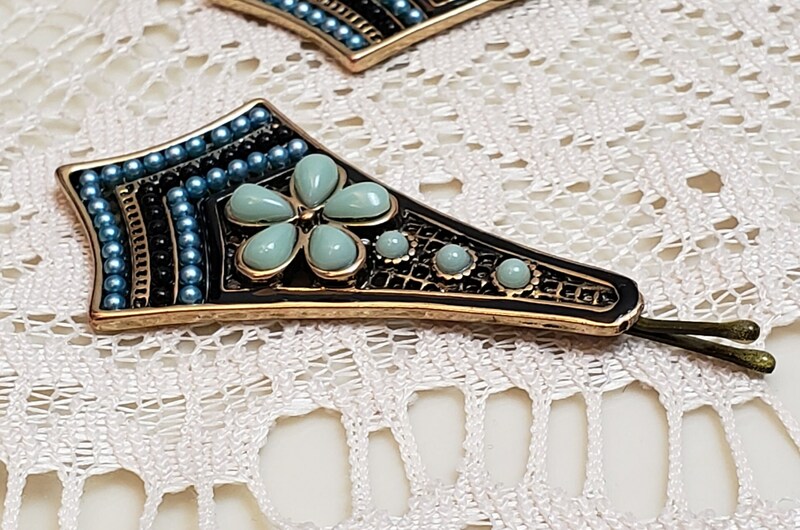 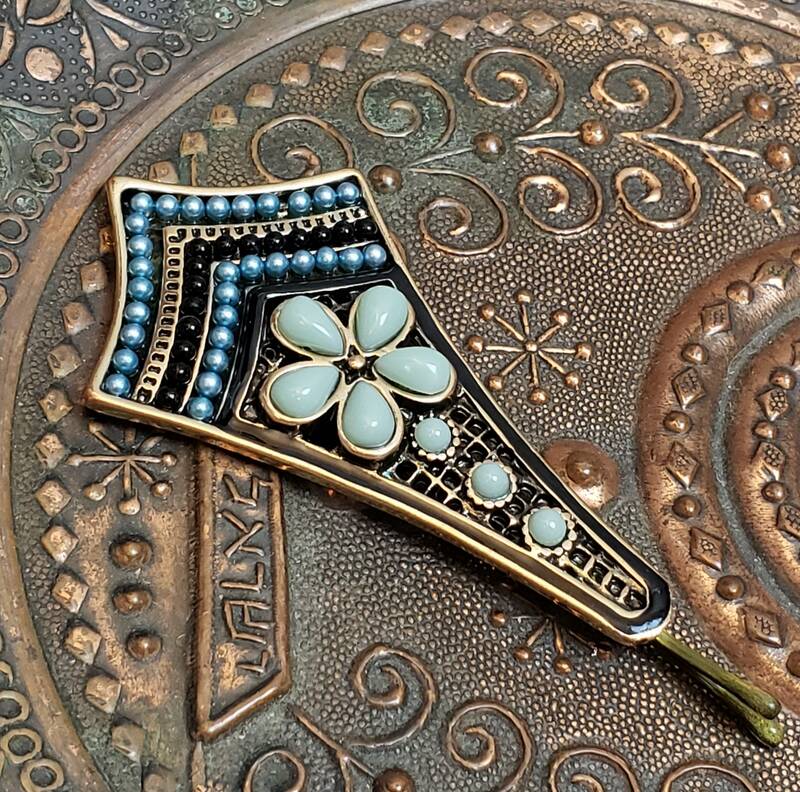 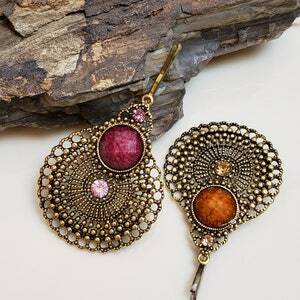 Feminine boho style tichel and hair pin in an antique gold setting with blue beads and with cabochons in a floral design! 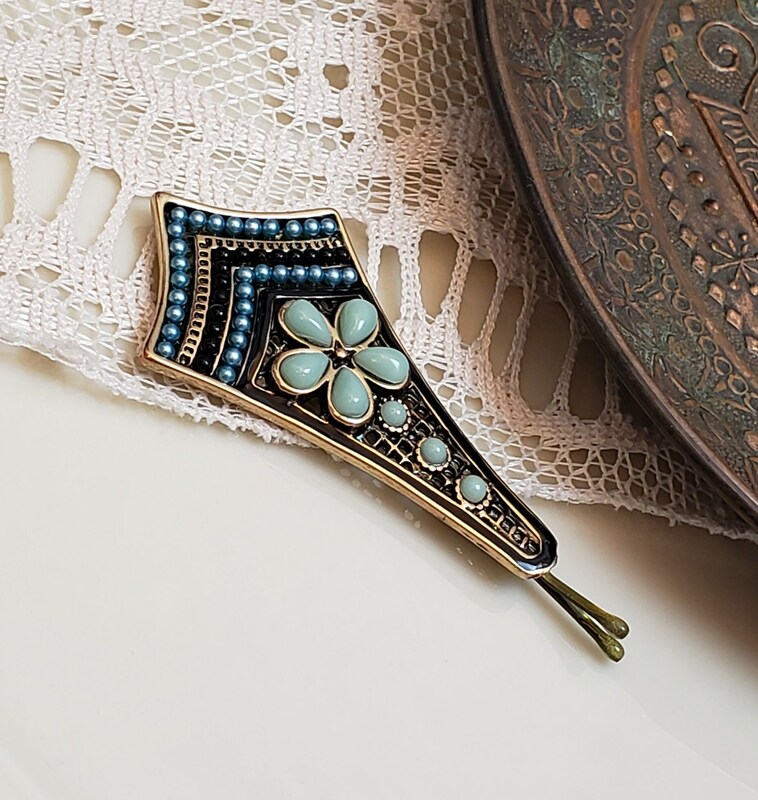 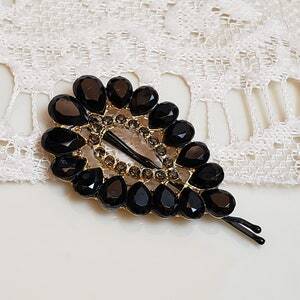 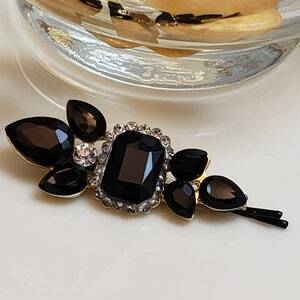 Add oomph to your head covering or beret with tichel pin! 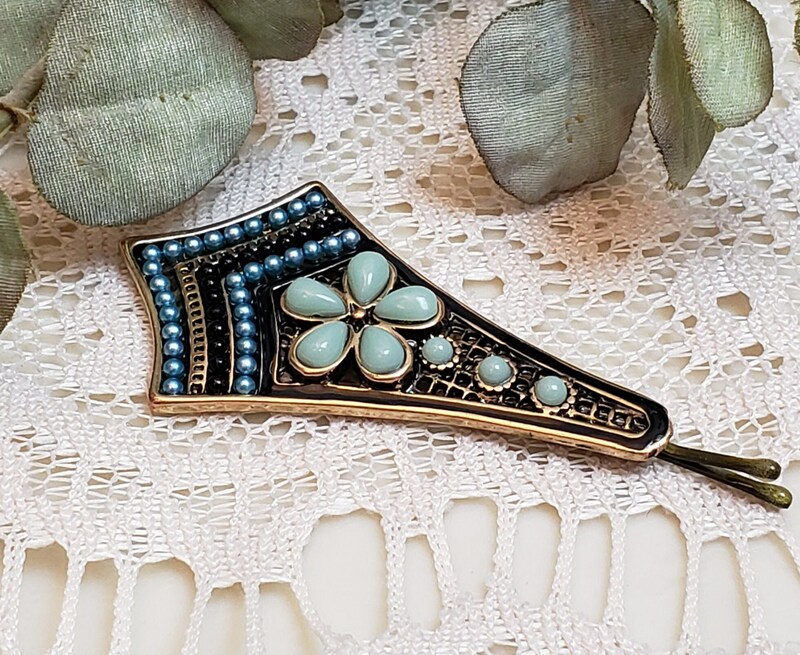 At Headdress Designs you'll find a variety of beautiful pins that are made from high quality materials for your enjoyment!